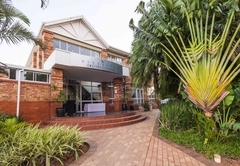 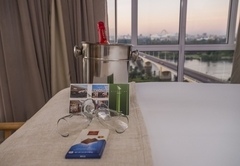 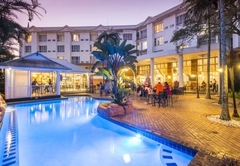 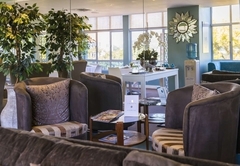 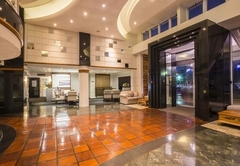 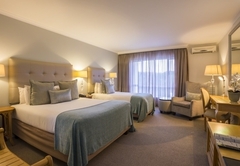 The Riverside Hotel & Spa is a highly recommended Durban North hotel providing accommodation in 100 guest rooms for tourists visiting the Durban region. 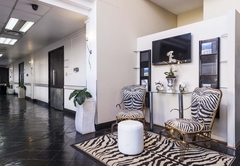 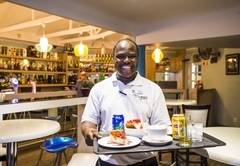 Just outside the City, set high on the banks of the Umgeni River Mouth, is a place where sheer quality and excellent service is all part of the deal. 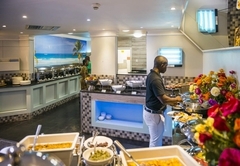 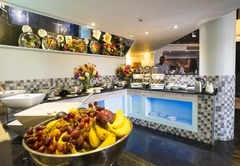 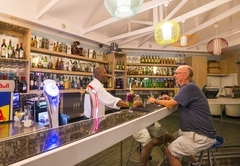 Three restaurants and a cocktail bar on the premises, together with four-star accommodation and location that is second to none, ensure the best getaway this side of paradise. 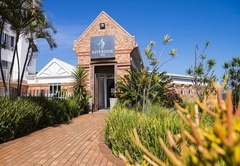 Stunning river views and abundant bird life on the Umgeni Estuary below the hotel, set the perfect scene for rest and relaxation. 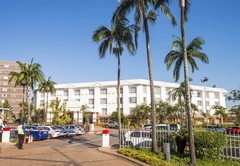 The Windsor Park and Durban Country Club golf courses are within easy access of the hotel, while to the north and south lie the splendour of the KwaZulu Natal Coast. 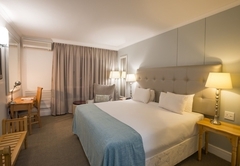 The International Convention Centre, the Sun Coast casino complex, and the restaurant district of Morningside are just minutes away, as is the mammoth Gateway Shopping and Entertainment centre and the growing business district of Umhlanga, making the Riverside Hotel an ideal base when visiting Durban. 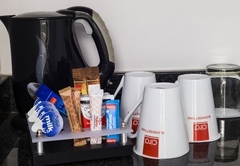 All of our 169 bedrooms and suites are unique in terms of not only having all the regular comforts associated with a four star hotel, but also having a kitchenette, complete with microwave, mini bar fridge, cutlery and crockery. 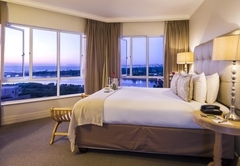 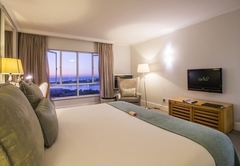 Guests can select a river and sea-facing suite, a deluxe or standard double room or, alternatively, a room overlooking Durban North. 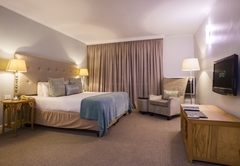 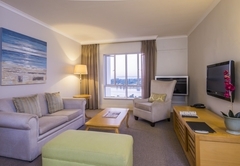 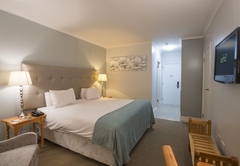 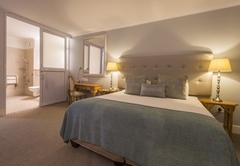 All bedrooms have en-suite bathrooms, air-conditioning, direct outward dialling telephones and colour television featuring all three national channels (SABC 1, 2 and 3) as well as M-Net and a selection of satellite channels. 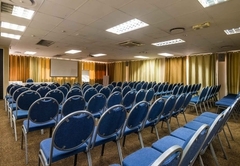 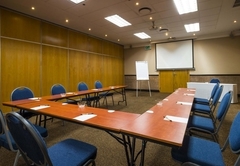 For the convenience of the travelling business person each room is also equipped with a desk complete with an analogue modem point for downloading e-Mail and accessing the Internet. 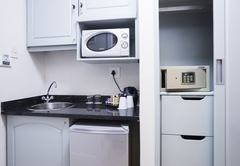 A power point is also available near the desk for cell phone and laptop chargers. 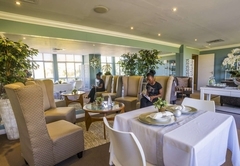 For those who do not have access to a laptop / palmtop there is an 'internet cafe' situated in the lobby with access information available from reception. 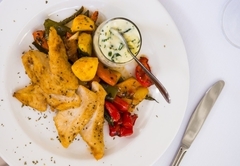 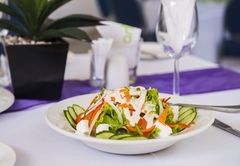 The atmosphere created by the superb décor, the top quality service, the sumptuous and exquisitely presented meals make Café Bali one of Durban’s most appealing restaurants. 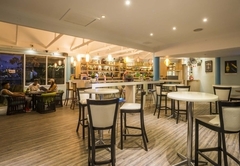 For a more relaxed and casual atmosphere and it is situate in the same complex as The Riverside Hotel. 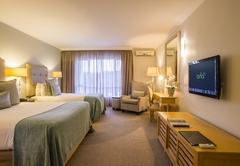 Queen beds bathroom built in showers, Lounge Area, DSTV in rooms, Telephones in rooms and Tea and coffee facilities . 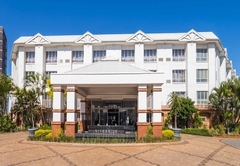 2 Double beds bathroom built in showers DSTV in rooms Telephones in rooms Tea and coffee facilities. 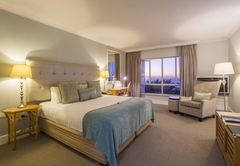 stayed for a week, loved every minute. 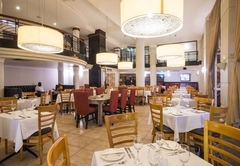 staff spoilt my family. 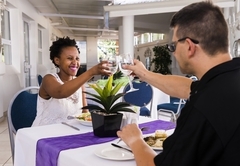 made us to feel we were the most important guests. 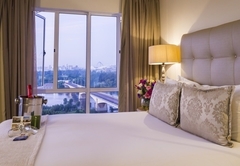 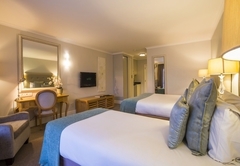 lovely rooms, good food, whats not to love? 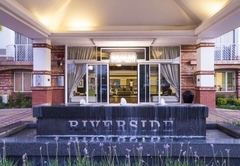 Response timeThe Riverside Hotel & Spa typically responds to requests in 5-10 minutes.